paleo | Oh, Twinkle. | Page 2 paleo – Page 2 – Oh, Twinkle. Suddenly my sad scrambled eggs and sautéed broccoli “brinner” is looking even more pathetic after seeing Homegrown Paleo‘s Facebook post of the Fried Chicken Livers from Melissa Joulwan‘s newest cookbook Well Fed 2. Chicken liver is chock full of nutrients like iron, choline, and Vitamins A, B6 and B12, D, and K2… but nutrition aside, what Southerner can resist delicious fried chicken livers?! The recipe is published in the paperback cookbook, which is available in stores nationwide and online. Now if you will pardon me, I need to wipe the drool off my keyboard and add chicken livers to my shopping list. Liz started by addressing that the relationship between Paleo and thinning hair was “not normal, but it is something that [they have] heard people say with interesting frequency.” That piqued my interest as I had been struggling with thinning hair over the last year and it was an issue that popped up frequently on various Paleo/Primal forums. I made the switch to Paleo three months ago and found that the diet alleviated some scalp issues but appeared to accelerate my hair shedding. What she means is that Paleo followers can often fall into a low-carb trap where they make solid choices for animal protein, vegetables and good fats (“chicken, broccoli, and coconut oil”) but accidentally cut out all carbohydrates, both good and bad. They forget to add back nutrient-dense carbohydrate sources (“a whole spectrum of nutrients… more B vitamins, vitamin C”), leaving the body lacking in nutrition in many ways. A low-carbohydrate diet can sometimes lead to a variety of issues, of which includes thinning hair. I recalled that I had similar issues several years ago when my now-ex pressed me to convert the Atkins diet on & off for a period between two to three years. The carbohydrate restrictions on the Atkins diet were excessive — some periods would limit the intake to 20g or less per day. Eventually, I wised up, ditched the guy and regained my health & sanity, but my previously thick head of hair never really fully recovered after that disastrous run. Could adding back nutrient-dense carbohydrate sources be my key to regaining my former crowning glory? Maybe, or maybe not. After all, thinning hair can be brought on by multiple underlying issues (diet, physical damage, stress, hormonal imbalance, thyroid disorders et cetera), which makes it hard to zero in a cureall. However, I (like many Paleo newcomers) was already guilty of being too restrictive with my carbohydrates and needed to up my daily consumption from <50g to 75-100g. I started adding in more carrots, sweet potatoes and Japanese yams, berries, apples, and even bananas (previously a banana-hater). With autumn in full swing, I am now including some red-skinned new potatoes and starchy carb-dense seasonal squashes like butternut, acorn, spaghetti and kabocha. Diane at Balanced Bites posted a helpful nutrient-dense carbohydrate guide from her book Practical Paleo that makes meal-planning somewhat easier for the carb-challenged. The added variety of vegetables and fruits definitely helped me to get out of the greens-only ruts and added much welcome color to all my meals. I am also trying to correct potential nutrient deficiencies through better food choices and my favorite reference is World’s Healthiest Foods: Essential Nutrients Guide. I much prefer getting my nutrients through whole foods rather than solely relying on isolated supplements. This is a complex situation that will take months, maybe even years, to remedy but getting past the ghost of my carb-restrictive past is a step in the right direction for my overall health (and not just the hair on my head)! A couple of weeks ago, I talked about the origins of most the grass-fed beef found in U.S. markets so it seems timely to visit the recent salmonella outbreak traced back to Foster Farms chicken products (via Storify). If there wasn’t a more compelling argument to buy your organic pasture-raised poultry from a local source, I don’t know what is. If you can’t source your clean poultry locally, there is always U.S. Wellness Meats. With autumn finally making its way to North Texas, how about a comforting bowl of chicken soup made with their free-range chicken? Perfect for all skill levels and palates; use ghee in place of butter to make it Paleo compliant. Thanks for your continued reading! Chris Kesser made an interesting post this week called Health Lessons from International Cuisines: India (one in an ongoing series that covers various countries and geographical regions). I love ethnic foods and Indian cuisine is one of my favorites given the variety of flavors and texture combinations. My parents exposed me to Indian food at a very young age. They weren’t very familiar with this cuisine prior to arriving to America but they were adventurous and craved food that was more interesting than the typical Midwest American cuisine that was prevalent where my sisters and I grew up in Oklahoma City. I remember my first bite of saag paneer (paneer cheese and spinach): it was lusciously savory spinach, slightly spicy, with chunks of soft paneer cheese. I had no basis of comparison for the paneer; up until that point, the only cheese I knew was electric yellow and came in plastic-wrapped slices or it was super creamy Laughing Cow spreadable cheese (oddly prevalent in Asian markets but rarely found in the traditional Western supermarkets at that time). My mom and I were certain those delicious white chunks were tofu and so she made prepared it that way at home (as well as making a few educated guesses as to the spices used) for the longest time; after all, this was pre-Googling and the libraries didn’t have much by way of ethnic cookbooks. My sisters and I loved eating that homemade saag paneer and all my parents’ other renditions of Indian curries but it was never as rich as the restaurant versions we tried. Once we found out that authentic paneer was actually cheese and the amount of butter (ghee, to be precise) used to make it so rich, we didn’t eat nearly as much. You have to remember that this was (and maybe still?) a time when people vilified fatty foods and while my parents were never concerned with weight, they naturally skewed towards healthier foods. Once I moved out of the house, I happily began consuming loads of Indian food whenever I could afford it. However once I made the switch to a Paleo/Primal-based diet, I was surprised at the lack of ethnic diversity in the recipes. Yes, there were Paleo analogs for Italian-American favorites like spaghetti & meat sauce and a small number of vaguely Thai mish-mashes of coconut “curries” but very little by way of Indian food. Kesser mentions three key ingredient groups that make a compelling argument for more Indian food within the Paleo/Primal/ancestral food arena: ghee, fermented grains and beans, and spices. Ghee: I made the switch to ghee a couple of months ago and I love it. I use Purity Farms but once this bottle is used up, I want to switch Pure Indian Cultured Organic Grass-fed Ghee, as so many people have raved about the quality. Cultured butter tastes absolutely wonderful and if you haven’t tried it, you are missing out on the true taste of butter. I use it for sauteing greens, frying eggs (even adding an extra teaspoon instead of cream for decadent creamy soft scrambled eggs), and even putting it in my morning & afternoon coffee! It has a higher smoke point than regular butter and most cooking oils so it is ideal for high temperature cooking. I’ve eliminated grapeseed and sunflower cooking oils (both exceptionally bad for you anyway) and now only use either ghee and coconut oil; olive oil is only used for dressings, roasting or low-temperature cooking. Spices: Turmeric! Ginger! Fennel! Cumin! Coriander! 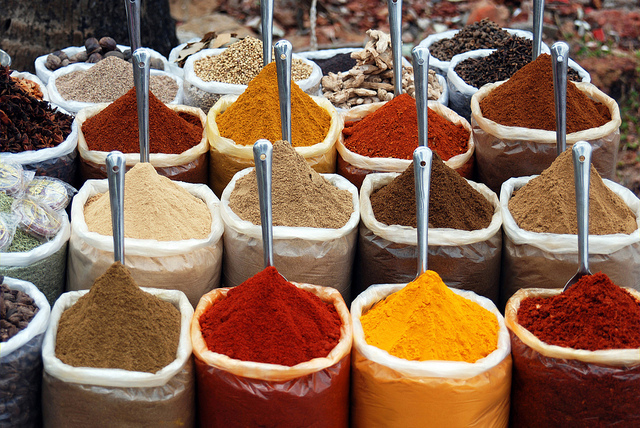 I could wax poetic about wonderful Indian spices forever but I limit myself to three: turmeric, ginger, and coriander. Besides cooking, I also use turmeric as a juicing ingredient (raw juiced root) and supplement (dried powder) for its myriad anti-inflammatory properties. I find the fresh roots at Asian markets but once peeled/juiced/grated, they will stain almost everything they come into contact with so use caution. Ginger, essential to Indian and other Asian cuisines, adds a wonderful spiciness that is versatile for savory and sweet applications; it is also useful for alleviating gastrointestinal distress and nausea symptoms. Buy it fresh for cooking versatility (chopped, slivered, minced, grated) and greater control over flavors; I get mine from Asian markets as the price is much better for the pocketbook. You can freeze the root if you don’t plan on using it as often. If you can’t find the fresh root, you can buy the powdered version. Skip the pastes as I find most of those have added canola or sunflower oils. Coriander (also commonly known as cilantro) is prevalent in many Asian cuisines in both as fresh leafy herbs (roots, stems, and leaves) or ground seed powder. I was pleasantly surprised to find that it is a phytonutrient-dense herb that can potentially lower blood sugar and LDL cholesterol. I love the unique flavor but some people cannot tolerate it two genetic variants linked to perception of the herb that make the herb taste soapy! One of my long-term goals for this blog is to successfully convert a variety of ethnic recipes to make them Paleo/Primal/ancestral diet-friendly. As I have been craving Indian food all week, I think it is high time to tackle my beloved saag paneer and some form of flatbread so expect a recipe post and possibly a review of the magical multi-purpose Paleo & Primal dough Recipe soon. Where Does Your Pasture-Raised Meat Come From? Primal, Paleo, ancestral diets – whatever you want to call it – all have many things in common including the belief that your animal-based protein should come from sources that allow the animal to feed in the manner that is biologically appropriate. 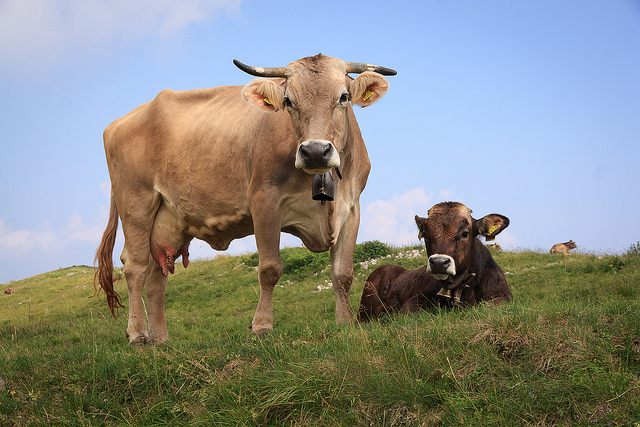 Cows (and other animals like sheep, bison, and goats) are ruminants that naturally prefer to graze on grass and short roughage. Because most average supermarkets predominantly stock meat originating from CAFO (Concentrated Animal Feeding Operation) factories that raise animals on feed grain (including corn, oats, barley, soy, and no grass), consumers looking to purchase organic pasture-raised meat would have to turn to local ranchers and farmers that offered true grass-fed beef, lamb, and bison, as well as pastured chicken and pork. 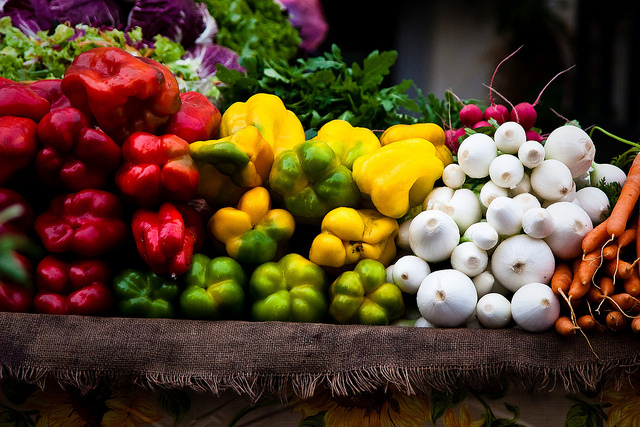 This champions the return to local, sustainable organic foods, which is attractive to many conscientious consumers and one of the primary reasons I converted to an ancestral diet. Over the years, I became more focused on the quality of the food I was consuming from both a nutritional and environmental perspective. I wanted food sourced from purveyors that were closer to me; I wanted to put a face and name to the food I was consuming more mindfully now. I needed to know that I could trust these sources as I was trying to correct years of damage from making poor food & lifestyle choices. Like many others in Dallas, I know that places like Urban Acres, Green Grocer and White Rock Local Market carry meat from local ranchers like Windy Meadows Farm and Burgundy Pasture Beef. However like many people in general (especially busy students), my packed schedule demands convenience which is why I often end up grocery shopping at one of many Dallas locations of Central Market or Whole Foods Market instead of the aforementioned local markets. Luckily for me, both chains stock grass-fed beef in a variety of cuts that help make it a bit more affordable (e.g. grass-fed ground beef is always cheaper and more versatile than a grass-fed ribeye, but that I will cover in a separate post). However, I was surprised to learn that most Grass-Fed Beef Sold In U.S. Comes From Australia , thanks to story on NPR’s All Things Considered. It makes sense that with the growing popularity of grass-fed beef that more grocery stores would need to find a steady large supply. Small local farmers in the United States contend with seasonal shifts (including some extensive droughts over the past two years) that make raising and selling grass-fed beef all year round somewhat difficult. Australia does not experience the same weather patterns and they have an abundance of cheap grassland for grazing cattle. Despite the fact that they are shipping it halfway across the world, it is still cheaper for supermarkets to source this Australian grass-fed beef than buy from a multitude of U.S.-based purveyors. It is important to me to have high-quality, organic, pastured-raised meats but I also want to support local farmers to reduce my overall ecological “footprint” through carefully considered food decisions. This means that I will sometimes have to forgo convenience shopping in favor of meat purchased through the aforementioned local markets & co-operatives or buying directly from the farmers & ranchers themselves. The pros, which also often includes a cost-savings benefit, far outweigh the cons. I get to know the stories of the local purveyors and I am building a mutually beneficial relationship, one that will sustain me nutritionally and them (albeit in a tiny way) financially. Even some Whole Foods Markets are making the effort to stock meats from regional US farmers & ranchers; the grass-fed beef found in the Southwest regional stores (which includes Dallas) is sourced from Nitschke Natural Beef in Waurika, Oklahoma. I am happy that WFM actually has a commitment to upholding their core values, which includes serving and supporting local communities, caring about the environment, and creating ongoing win-win partnerships with their suppliers. While Whole Foods Market only carries select cuts of grass-fed beef, it is a welcome start for consumers looking to take control of their health by learning more about their food sources and having a convenient option for better beef. Russ Crandall of The Domestic Man showcases the humble collard green in a simple Brazilian recipe known as Couve a Mineira. It is a traditional preparation that retains the beautiful vibrancy of the greens but will seem mostly unfamiliar to Americans, who are accustomed to stewing collards until the color drains out of the leaves. If you are already nervous about saying goodbye to your usual sweet treats, do not fear: Michelle Tam at Nom Nom Paleo has your sweet tooth covered. She shares a delicious-looking Chocolate Pie with Raw Graham Cracker Crust recipe from Kelly Brozyna’s new book, The Paleo Chocolate Lovers’ Cookbook. I hope you enjoy these links I shared and stay tuned for more food content.